Kussul N., Skakun S., Shelestov A.
Kyiv, “Naukova Dumka”, 2014. - 184 p.
The work is dedicated the method preparation and technologies for geospatial risks analysis of natural disasters. It is proposed a problem statement of geospatial risks assessment, related to natural disasters, and demonstrated the methodology of solution using diverse information (satellite and ground data, data modeling). The stages of problem solving and the ensemble approach for the data processing are justified. Examples of practical application of the developed methods and information technologies to risk estimate for floods and droughts. For researchers engaged disaster risk modeling and elimination of the consequences of this disasters, teachers and high school students of relevant specialties. Kyiv, “Naukova Dumka”, 2014. - 258 p.
Kyiv, “Naukova Dumka”, 2008. - 452 p.
Kussul N., Shelestov A., Skakun S., Kravchenko A.
Kyiv, “Naukova Dumka”, 2007. 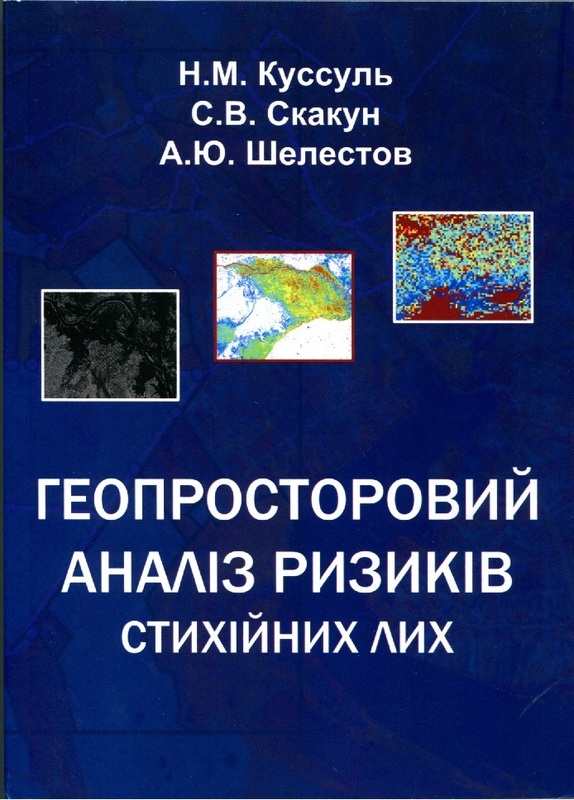 - 196 p.
Monograph is dedicated to modern tasks and methods of Earth observation data processing. The usage of intelligent computations and data integration methods for solving numerous tasks are taken apart. In particular, monitoring and prediction of floods, assessment of the vegetation state and biodiversity, meteorological parameters gathering using the satellite and modeling data, structure and parametrical identification of complex models, space weather parameters prediction. All scientific thesis's are illustrated by the results of computer modeling The book is designed for professionals in intelligent computations, mathematical modeling and satellite data processing . Kussul N.M, Shelestov A.Yu., Lavrenyuk A.M.
Kyiv, “Naukova Dumka”, 2006. — 186 p.
In this educational book the authors were trying to systematize intelligent computations theory, its main concepts, heuristics and creating algorithms. 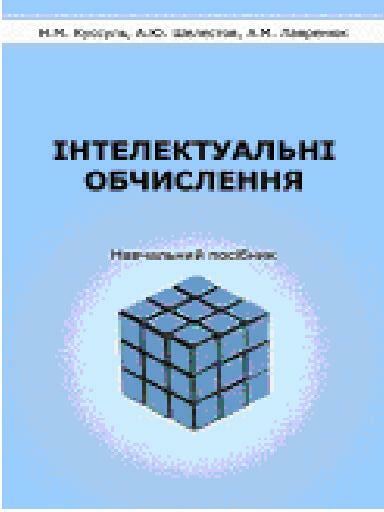 The book is designed for senior students with basic knowledge of mathematics and computer sciences studying Computer Sciences and Applied Mathematics. Azarskov V.M., Blokhyn L.N., Zhytetski L.S., Kussul N.N. Кyiv, National Aviation University, 2004. — 500 p.
Normal 0 21 false false false MicrosoftInternetExplorer4 П. Пардалос, В. Яценко.